Your baby's life will be a struggle if the name is not matched with numerology. In this testing service, you can about to know your baby's name is lucky or not. Name alteration will not be done. This is only testing service. Q1: Is there any relationship between Numerology and religion? Ans: No. Numerology is a universal science. Every living being is connected with “Sengs Systems” of Numerology. “Sengs Systems” acts strongly on all living beings. Being we are all human, we have the six senses to analyze everything. Hence we are thinking that Numerology is acting on human only. But it is not fact, every living being is born on particular date, according to the date of birth, its life is going on changing. We commonly know about our pet animals, according to its calling name, pet animal is facing good and bad effects. Let’s see about “Sengs Systems” of Numerology and human life, Human being is a combination of five elements of cosmos, like water, earth, fire, air and sky. So, Numero Science is acting on these five elements. This impact makes, biological changes, vibrational changes and it makes the human’s life into positive or negative. So, “Sengs Systems” of Numerology is a totally a vibrational science, it is not religion oriented. Religions are manmade coatings. But Numerology is a deep root, the manmade coatings doesn’t affect the deep root science of the Universe. Hence worldwide all religion peoples are following “Sengs Systems” of Numerology for their better life style. Q2 : Sir, what is the difference between Astrology and Numerology? Ans: Very good question, Astrology deals with nine planets ad its motion, conjunction, combination with your natal chart planet. Also your dasa and dasa Pukthy’s (Running Planet Periods) In this case you can know what is what? And you cannot change any planetary effects. But NUMEROLOGY is not like that, by altering your name as per “Sengs Systems” of Numerology you can get very good lucky results even if you are having bad astrological periods. So, through “Sengs Systems” of Numerology you can make some good results. But, through astrology you cannot make any alterations. Astrology is like a mirror, you can see your image. But you cannot alter it. In case of NUMEROLOGY, it is like a Plastic Surgery. Q3 : Sir, what is Nameology and Numerology? Q4 : What is the use of naming the babies by Lucky Name? Ans: Nature created the Babies but “Sengs Systems” of Numerology only can makes them Lucky. If Children’s life starts with LUCKY NAME Vibration, child will get the following results. So, just by the Lucky Name Vibration, the parents dream will get success out of children’s own skills. Normally, all parents are approaching me for naming their children. So, “Sengs Systems” of Numerology is the Very essential thing of the life and very strong foundation for the future. Q5 : What will be the result of the babies if not named properly (or) having unlucky names? Q6 : I have already named my baby with my own calculation. 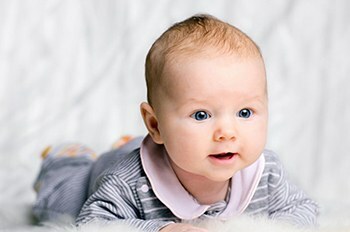 Is it possible to correct the BABY NAME as per NUMEROLOGY? Ans: If your child is already named, but it is not as per the NUMEROLOGY, you can alter or you can change it at any time. If the Baby name is altered or changed as per “Sengs Systems” of Numerology vibration, the baby will get the following good results. Q7 :If everything in life is going according to fate then how numerology will change the fate / destiny of one man? Q8 : Sir I do not have my date of birth, can I do Numerological Consultation? Ans: Yes, the “Sengs Systems” of Numerology having some specific methods for those who are not having date of births. In this case “Sengs Systems” taking your name, your father and mother’s name, your house number, phone number, your wife name, children name (if you are married). Also, some related numbers and names are taken before finding your influence number. So, you can do Numerological consultation by “Sengs Systems” even if you are not having date of birth. Q9 : What is the use of modify my NAME as per Numerology? Ans: Your Personal Name is very important in your life. If the Personal Name is Lucky as per NUMEROLOGY you will get good Financial growth, Popularity, and Health. If the Name is unlucky, then Life will be miserable. So, People are altering their Personal Names as per “Sengs Systems” of Numerology to get LUCK. In this case your date of Birth is important for the consultation. Some People they doesn’t know their date of birth, hence the Numerological Number Influence is find out through some Important events date, family members name, etc.. Etc… So, anybody can alter their Personal Name in their Life as per “Sengs Systems” of Numerology. No Age Limitation… Even your date of birth numbers is so weak, but by the Lucky Name you can enjoy the SUCCESSFUL LIFE through Lucky Name. Q10 : What is the use of LUCKY BUSINESS NAME? Ans: For any type of Business, the Firm Name Vibration is very much important to attract the customers and to make more money out of it. For the Business or Firm Name Selection as per “Sengs Systems” of Numerology, date of birth of the Business owner (or) Partners is very much important. Based on the date of birth number vibration, the Firm name will be selected. If the Business Name is not as per the NUMEROLOGY Vibration the Business will be running with heavy losses and it will be closed, due to losses. Q11 : Sir, I am running my business, but it is not healthy. Can I alter the Business Name? Ans: If the existing Business or Firm Name is in not as per NUMEROLOGY Vibrations, you can alter or change the Name immediately to avoid heavy losses. For the NUMEROLOGY consultancy, date of birth of the Business Proprietor or Partner is very much important. Q12 : What is the use of LUCKY BRAND NAMES? Q13 : What is the use of LUCKY VEHICLE REGISTRATION NUMBER? Q14 : Can I check the Engine No. and Chassis No. at the time of purchase of Vehicle? Q15 : What is the use of selecting wedding date as per NUMEROLOGY? Ans: Marriage is a very much important event for the Bachelor life. It is merely a New Life Starting. Any starting date should be more powerful as per “Sengs Systems” of Numerology. Even the marriage is fixed by the astrologer by astrological grounds, if the wedding date is not Lucky as per “Sengs Systems” of Numerology , the marriage life will be in problem. So, at the time of Marriage, the selection of Marriage date is very much important as per “Sengs Systems” of Numerology. For selection of the Marriage Date, date of birth of the Bride and Bride Groom is very much important. Q16 : Sir, my marriage life is not happy and wedding date is also not as per NUMEROLOGY. Can I alter the date? Ans: Your present marriage life is struggling due to bad wedding date as per NUMEROLOGY, you have a chance to get out from the struggle by altering the wedding date. Based on the Husband’s and Wife’s date of birth, the New Wedding Date will be arrived by the “Sengs Systems” of Numerological calculations. Also, with the Astrological background. In this New date the Husband and Wife will do the New Marriage Procedures according to their religion sentiments. After that slowly, slowly the Marriage life will be change into Fragrance due to positive results.